Release Date:04/06/2018;Notes:Most jazz musicians are also travellers. Their places of work are the clubs and festivals of the world, so they are always on the go. 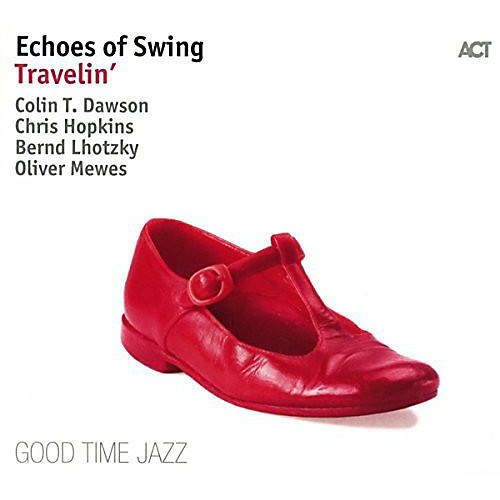 Echoes of Swing, however, has another dimension: This quartet is also on a journey through time, going back to classic jazz from the 20s to the 50s, bringing it into the present day and shaping it for the future. This "tour de force" has been going on for two decades. This is a reason then to celebrate, which is perhaps best done by retracing the journey, reviving memories of things experienced, and looking at all that travelling involves. The whole panoply of impressions that one has on a voyage is translated into music in "Travelin." Numerous original compositions and complex arrangements, with pieces originally for solo or orchestra are adapted for the quartet, testifying a profound knowledge of the history of music, and there is not a single bar which fails to deliver exquisite taste. It's all aboard and indeed the best proof yet that travelling does indeed expand one's horizons. After twenty years on the road, this ensemble has wagonloads of style, elegance, finesse, improvisation and humor- and has honed all of these to perfection.